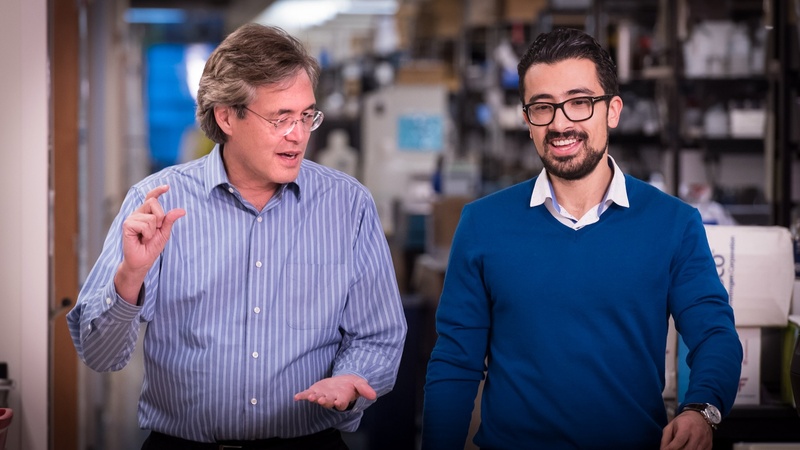 Combining the two most powerful biological tools of the 21st century, scientists at the Gladstone Institutes have modified how the genome of induced pluripotent stem cells (iPSCs) is read for the first time using a variation of the CRISPR-Cas9 system. The development offers a major technological advance in creating cell models of genetic diseases. In a study published in Cell Stem Cell, the researchers used a modified version of CRISPR called CRISPR interference (CRISPRi) to inactivate genes in iPSCs and heart cells created from iPSCs. The method, first reported in 2013 by Stanley Qi, PhD, a co-author on the current paper, significantly improves the original CRISPR-Cas9 system by allowing genes to be silenced—or turned off—more precisely and efficiently. CRISPRi also offers the flexibility of reversing and carefully controlling the amount of gene suppression. The standard CRISPR system uses the protein Cas9 to delete a precise part of the genome by making small cuts in a cell’s DNA. CRISPRi builds on this technology by using a special deactivated version of the Cas9 protein and an additional inhibitor protein, KRAB. Together, these proteins sit at the target spot on the genome and suppress gene expression without cutting the DNA. To the scientists’ surprise, temporarily silencing gene expression in this way was much more consistent than permanently cleaving the genome. 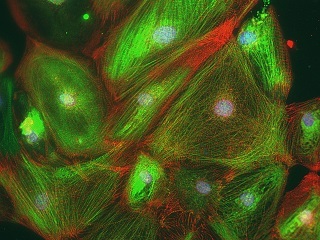 In the study, the researchers compared how well CRISPRi and CRISPR-Cas9 silenced a particular gene that controls iPSC pluripotency—the capability of iPSCs to turn into multiple cell types. They discovered that CRISPRi was much more efficient than CRISPR-Cas9: in more than 95% of the cells created using CRISPRi, the target gene was silenced, compared with only 60-70% of cells grown from CRISPR-Cas9. CRISPRi also did not cause any off-target changes in gene expression, like undesired insertions or deletions to the cell’s genome, which is a concern with CRISPR-Cas9. CRISPRi also acted like a toggle switch, enabling the scientists to reverse gene suppression by simply removing the chemical that turns on the gene inhibitor. In addition, the researchers were able to tune how much they silenced a gene by changing the amount of the chemicals they added. Both of these results support much more versatile investigations into the role of certain genes that affect development and disease. The researchers demonstrated the enhanced capabilities of CRISPRi in iPSCs, T cells, and heart cells made from stem cells. For example, they created a model of heart disease using genome editing to suppress a gene essential for heart function.